It’s awesome you stopped by, thank you! I’m Nedret, a full-time SOWA artist working in South End, Boston. 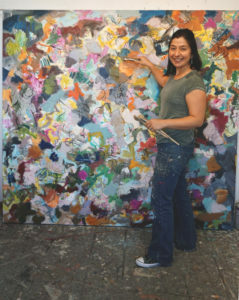 I earned my BFA in Painting at Massachusetts College of Art and received my MFA in Visual Arts from Maine College of Art. 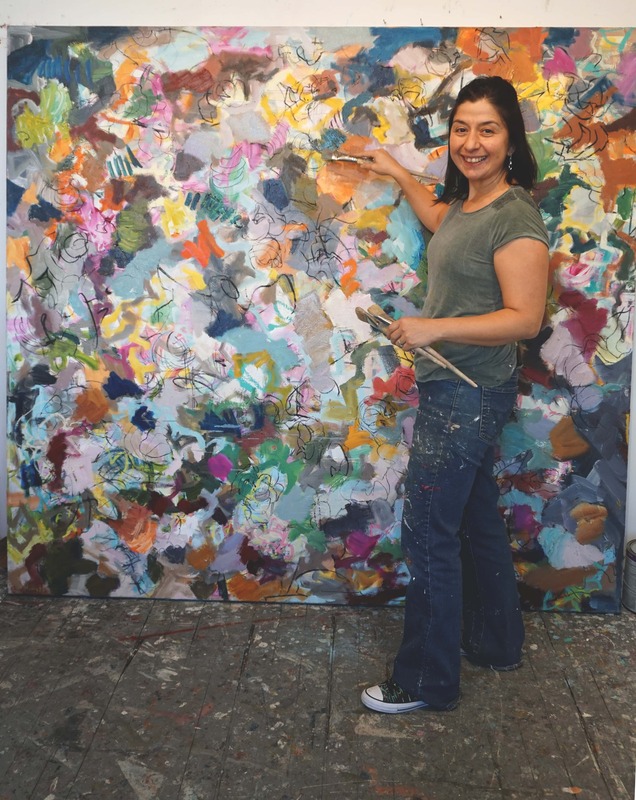 My abstract oil paintings are process based; exploring color, texture, mark-making, and gestural drawing. I love the way oil paint drips, flows and makes terrific unexplainable combinations. Most of my paintings since 2015 have been about our environment, more specifically about seagrass habitats. My work is inspired by eelgrass restoration projects and my collaborations with local marine ecologist. I love being in the field with these wonderful scientists and helping bring awareness to the vital importance of this ecosystem. Part of the proceeds from each sale or commission is donated to one of the seagrass projects listed below. You can also view my field trips and learn more about the science by clicking here on my blog. Also check out my art in home section for ideas on how my paintings looks in different settings. If you are interested viewing the work in person, just email me to arrange a studio visit nedret@nedretandre.com , I’d be happy to show you my current work at Studio 415 on Harrison Ave! Very excited that Katiba Das chose to interview both marine ecologist Alyssa Novak and my self!